I started to ask you if you’ve ever walked into a room and then forgot why you went there – and then I decided not to ask a question that we all know the answer to. Of course you have! Who of us hanging out here hasn’t?? And all this time we’ve attributed this recurring event to the aging process – something we couldn’t fix. Well, you’re in for some good news! 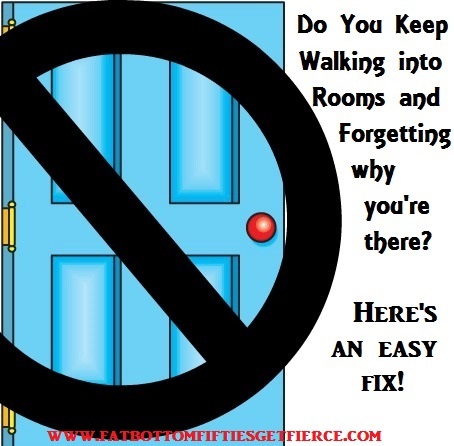 Research conducted a few years back by University of Notre Dame Psychology Professor Gabriel Radvansky suggests that passing through doorways is the cause of these memory lapses. Radvansky states: “Entering or exiting through a doorway serves as an ‘event boundary’ in the mind, which separates episodes of activity and files them away. Recalling the decision or activity that was made in a different room is difficult because it has been compartmentalized.” Radvansky conducted three experiments using using college students in both real and virtual environments and the study was published in the Quarterly Journal of Experimental Psychology. The results of one of the experiments suggests that the doorway – excuse me, I mean event boundary – impedes one’s ability to retrieve thoughts or decisions made in a different room. 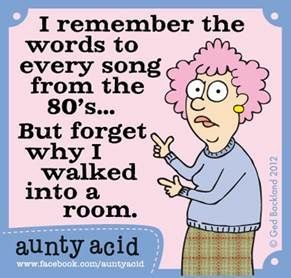 So it’s not age that causes room-to-room memory lapses, my friends – it’s doors. Now that is fixable. We simply remove all the doors and walls containing doorways in our homes.